Daniel Dercksen shares a few thoughts with storyteller Brett Michael Innes, who adapted his bestseller Rachel Weeping into the film Sink, which he also directed. I hope that filmmakers leave ‘Sink’ wanting to make movies and that audiences leave it wanting to see the ‘others’ in their lives, be it their domestic workers or employers, spouses or children. I feel the film asks more questions than it gives answers and hope that they will find the answers that they need for themselves. ‘Sink’ is a contemporary drama that explores the themes of entrapment, loss and forgiveness against the backdrop of the current South African class structure and the experience of foreign nationals in the country. After the success of his first novel, ‘The Story of Racheltjie de Beer’, Brett Michael Innes began working on the manuscript for his second novel, ‘Rachel Weeping’, while simultaneously writing the screen adaptation that would go on to be titled ‘Sink’. 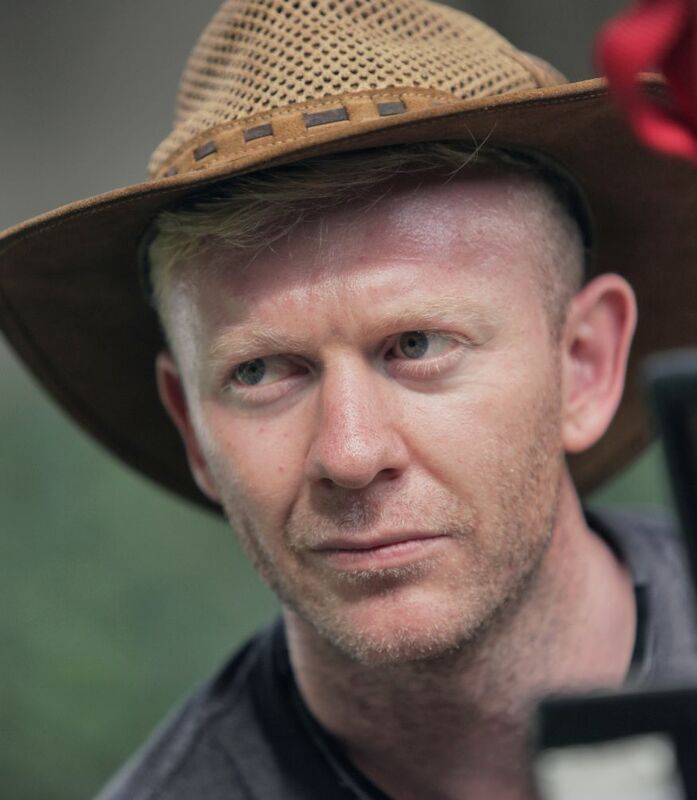 Born in 1983 in Johannesburg, South Africa, Brett Michael Innes graduated in 2005 as a producer from AFDA, the Oscar-winning South African film school, on a scholarship from the National Film & Video Foundation (NFVF) of South Africa. He spent three years working as a documentary photographer and filmmaker with various NGO’s, a position that has seen him and his camera drive from South Africa to South Sudan twice and kayak through the Okavango Delta. He has also done video work in malnutrition camps in Angola as well as excursions to Tanzania, Mozambique, Malawi, Mongolia, Sierra Leone, DRC, Nepal, Liberia, Lesotho, Zambia, Zimbabwe, the USA, France, England, Switzerland, Italy, Turkey, China, Nigeria and Mexico. Brett’s first novel, ‘The Story of Racheltjie de Beer’, was released in 2012 and became a local bestseller, hitting top positions on both local and Dutch charts. His second novel, ‘Rachel Weeping’, was released in May 2015 and is the manuscript that ‘Sink’ is based on. The novel has since been translated into Dutch and released in the Netherlands in October 2015. Both the SA and Dutch versions have been well received by readers and critics alike. 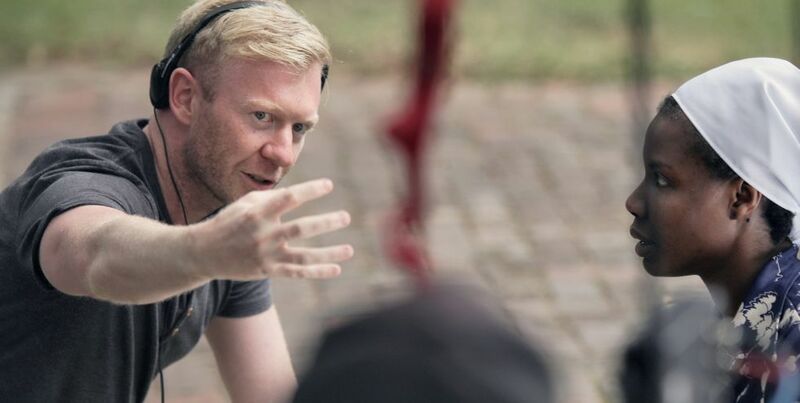 ‘Sink’ is his first feature film and he won the award for Best Screenplay at the 2015 kykNET Silwerskerm Awards. Brett works closely with Joint Aid Management (JAM), a South African based NGO that focuses on bringing food and water relief to South Sudan, Angola, Mozambique and South Africa, and has participated in many of their trips into these regions. ‘Sink’ is a contemporary drama that explores the themes of entrapment, loss and forgiveness against the backdrop of the current South African class structure and the experience of foreign nationals in the country. Well done a film that really hits home and allows us to reconnect with who we are and our relationships with those who change our lives. Sink is an incredibly provocative and alluring title. Tell me about it? The film was originally title ‘Rachel Weeping’ (after the English novel it is based on) but as the story was adapted into an Afrikaans/English film we felt it appropriate to choose a title that worked in both languages. The mood that the word ‘sink’ conjured up was one that described the emotional state of all the characters; trapped, suspended, drifting. What inspired you to write the screenplay? Those two words ‘Rachel weeping’ conjured up the image of a mother sobbing over the body of her dead child and was the seed that birthed the story. My travel through Africa and my life as a South African added the layers of a foreign national’s experience in our country. Was it an easy story to write? It was a story that grew on me over years and was as easy as any to write. I did a lot of unintentional research over the years during my time working in malnutrition clinics and war zones across Africa, spaces that introduced me to the world of the character of Rachel. Once we headed into pre-production further layers were added through contributions from script editors Anel Alexander, Sandra Vaughn and Corine du Toit and the book editor Alison Lowrey. Did you write the screenplay with any particular actors in mind? If so, how did this influence your writing of the screenplay? I always find a visual reference, international or local, for any character that I write before they are born and I started writing the script with a visual for both Rachel and Michelle. 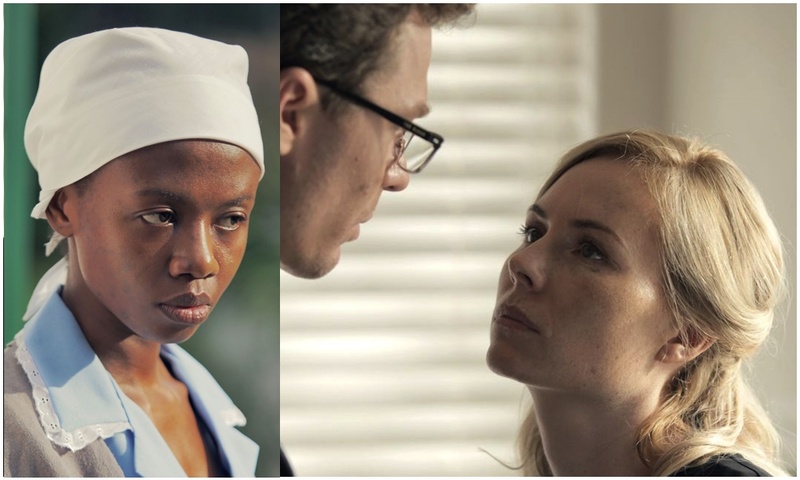 The irony is that my visual for Rachel (Shoki Mokgapa) ended up giving the best audition and my visual for Michelle (Naomi Watts) is a doppelgänger for Anel Alexander. Strangely enough I never one for Chris, he was like this faceless body in my mind, and when Jacques Bessenger got the role he coloured in the lines for me in a beautiful way. Tell me about your cast and how they influenced the film from page to screen? I love actors and the way I audition them sometimes is through coffee meet ups where we sit and discuss life with each other. I do this to read our dynamic and to see how connected they are to their space and process. During this time I also try to figure out the actor, to see if they are cerebral (ie. access characters from their head) or emotional (ie. access characters through their emotion). Both come with pros and cons and I believe it is the director’s job to know this and use it to his/her advantage. This includes figuring out if showing an actor dailies will aid their process or hurt it, if they thrive on compliments or need to be handled a little harder. The core of the film is a deadly secret that you only fully reveal at the end, yet you manage to maintain an incredible and tangible tension from start to finish. Your views on this? I guess it’s all about mystery, taking what is simple and revealing it in a way that is more intriguing and draws the audience in. I was encouraged to risk in this department by the editor Nic Costaras. We cut the film together and with every scene we edited he would ask me if there was more interesting way to reveal the information, whether this meant hiding a reaction or allowing a shot to linger. Did you set out to write and direct the film? Tell me about this? I unashamedly wrote this film so that I could direct it. It’s really difficult to get your first directing gig and by writing my own script I set myself up to do it. I love directing and think I’d struggle if my only role in the process was to put words on the page. Writing is too lonely for me and I love watching scenes that have lived in my mind materialize in front of me. Writing and directing a story you feel passionate about is ideal for any storyteller. Why do you think there’s such a misconception about writers directing their own stories? I think the caution is that they become too close to the story and make bad choices. Another part of this is that a good writer is not necessarily a good director, the two mediums are so different in their activation and experience. A director needs to understand story structure, actors, cameras, visual language and editing whereas a screenwriter only needs to understand story. Writing is much more specialized whereas directing requires a much broader understanding of the film making process. The film has a hushed intensity, filled with whispers that set a somber tone. Was this you intention? My direction from the performance to the camera, the edit to the score has always been ‘give me less’. Every department wanted to show the full range of what they could do, be it cry, score or film and the constant decision was, if you were giving me an ‘8’ I wanted you to pull back to a ‘3’. Less is more became our mantra and I think it paid off. There is also a sense of a privileged and sterile existence of the married couple? Your views on this? Anyone who knows me knows that I have a disdain for the suburban existence of beige living and I felt that this was important to bring through for the Jordaans. I wanted to show people who had bought into the value system, one that provides a perception of security but which is in actual fact very fragile. The film is equally loaded with incredible sadness and hostility between the characters? Your views on this? I believe that the sadness and hostility that we tried to create is a reflection of what many of us see in the relationships that are around us, especially in the one between wealthy home owners and their domestic workers. There is an uneasy tension, a passive hostility which we are still as a people trying to decompress and will continue to as long as this dynamic exists. It is interesting how the monochrome colour scheme that dominates the setting reflect the mindscape of the characters? Almost as if there’s a world devoid of colour? Our palette and colour design was informed by my desire to show the value system that the Jordaans are a part of and how it affects them. It is a clean, sterile existence devoid of flavour. The quintessential suburban narrative where troubled waters are hidden by a polite facade. Do you see yourself as a writer or director? What is your main focus? I’m more of a director and look forward to one day directing a script that I haven’t written. I’m very interested to see how I’d approach the filmmaking process coming in as an outsider instead of the writer. Have you always wanted to be a filmmaker and where did it start for you? When was that first moment that you knew you wanted to be a storyteller and storymaker? As a 5 year old, before I could read and write, I used to draw stories on old fax paper, staple them together and sell books to my parents for R1. I also used to love playing with my cousins Barbie Dolls, making stories and worlds in the sandpit. As I grew up I became that kid who used to make movies on old camcorders with his friends, editing them into ‘movies’ on my parent’s VHS machine. So I think it’s safe to say that story has been in me from a young age. What excites and motivates you as a filmmaker? One of the most profound moments of this journey for me was sitting in a cinema with 400 people and feeling this collective respond emotionally to something that I have helped craft. I now sneak out of screenings and watch people watch the movie and I’d be lying if I said I didn’t get off watching grown men wiping tears from their eyes. That is why I do this. To move people, to feel them feel something. How do you see the current state of the local film industry? I’m excited at our industry, its growth and the stuff that is coming out. We’re getting to a stage where a film has to be good for people to watch it now and that is a healthy thing. It used to be that you watched a local film because it was in Afrikaans or Zulu but that time is over. Filmmakers are no longer getting special passes by viewers or investors and this means that we’re going to see some incredible work come out as our artists are forced to be better. What advice do you have for writers who want to break into the industry? I’d say that if you want to be a writer then write because no one cares about your ideas. Everyone has a good idea for a film but few have the grit to sit down and write it. Writing is the cheapest part of the filmmaking process but the most important. Read scripts and start writing, buy Final Draft and carry on writing. Know that your first draft of your first script is not the one that gets turned into a movie. That is like going to gym for a week and expecting a 6pack. Writing is a craft and you need to do your 10 000 hours. And then make friends with the right actors or producers. They need you to do what they do and you need them to get the film made. Place yourself in the same circles as other artists and doors will open. Just don’t expect it to happen quickly. What do you hope audiences will take home from watching Sink? I’ve written my next script, a historical epic, and it has been optioned by an international company so it’s a leap ahead of ‘Sink’ in terms of scale. They are currently attaching cast to the project so watch this space!